Following on from our success at EuroTier, we’re delighted to announce that we are jetting off across the world on another international adventure this March. This time, the Agritech team are heading to Bangkok, Thailand for VIV Asia 2019. 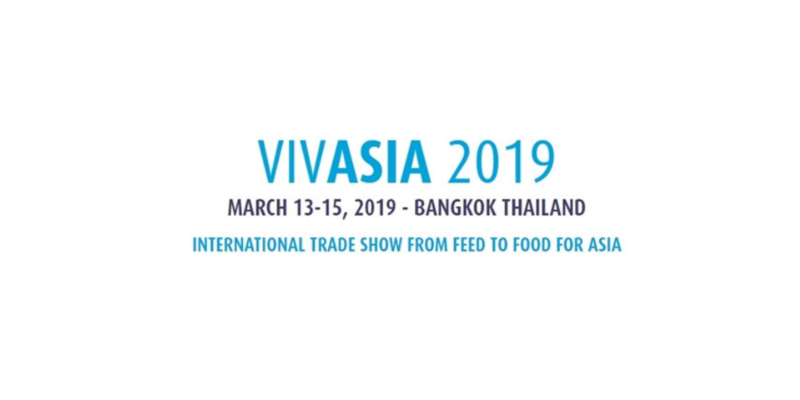 VIV Asia is the leading international feed to food trade show in Asia and attracts up to 1,250 international exhibitors. This three day show takes place from the 13th-15th of March and will present the latest solutions, trends and technologies for animal husbandry, breeding and processing. The Agritech team are delighted to attend this event as it is a unique opportunity to meet with current and potential partners from across the world and showcase our wide range of feed supplements for ruminant, pig and poultry markets, which are enriched with essential omega-3 acids and salmon oil. On the day, visitors will have the opportunity to learn more about our products, including Agromega and Salomega for monogastric animals such as pigs and poultry and Rumate, Rumicare, Vitameg, and Optimate, which have been developed for ruminant animals. We will be exhibiting at Hall 105, Stand 806, so be sure to drop by to learn more about our product range or to simply chat to our team of experts! For further updates, check out our international page here.